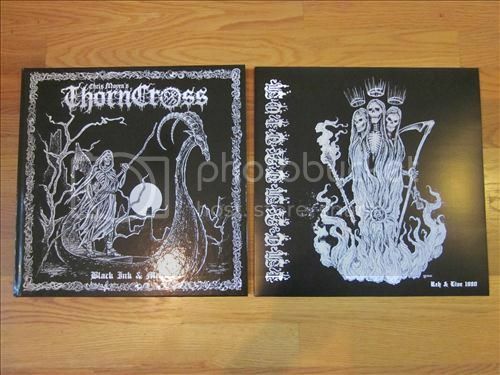 Second pressing of 500 copies with black vinyl regular and splatter vinyl die hards. 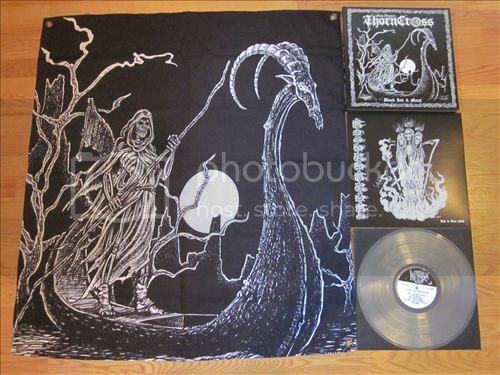 As Death and Black Metal gravitated toward a more extreme degree of sonic horror, the associated visual aesthetics followed suit, becoming increasingly more violent and blasphemous. 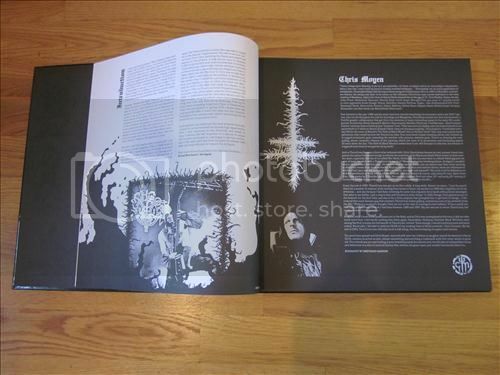 The emergence of brooding, dark Death Metal and the frenetic aggression of the raw and bestial strains of Black Metal required a shift in vision, and the artwork of Chris Moyen became the most recognizable imagery to adorn the covers of the most extreme Metal of the early 1990s. As a youth in Bordeaux, France, Moyen was immediately attracted to comics before the age of ten. A few years later, Moyen discovered Metal, which became a lifelong obsession for him. His exposure to early cover artwork such as Iron Maiden’s “Killers” (Derek Riggs), Celtic Frost’s “Emperor’s Return” (Phil Lawvere), and Necrophagia’s “Season of the Dead” (Drew Elliot) convinced Moyen that he wanted to create artwork as iconic as those covers that inspired him. 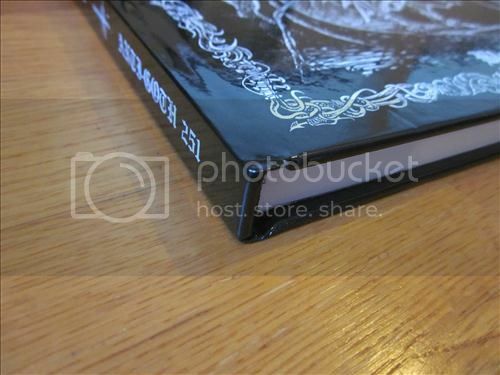 Moyen’s artistic association with underground metal began in 1989 when he became acquainted with Ludo “Evil” Lejeune, one of the editors of “Ultimate Speedcore Dislocation” zine for which Moyen planned to contribute some illustrations. The zine died before Moyen could work on it; however, Lejeune soon founded the European Sarcofago and Blasphemy Fan Clubs (and also Evil Omen Records) and sought out Moyen for artwork for flyers and newsletters. Almost immediately, bands throughout the world began contacting Moyen to obtain artwork for demos, records, t-shirts, and flyers. 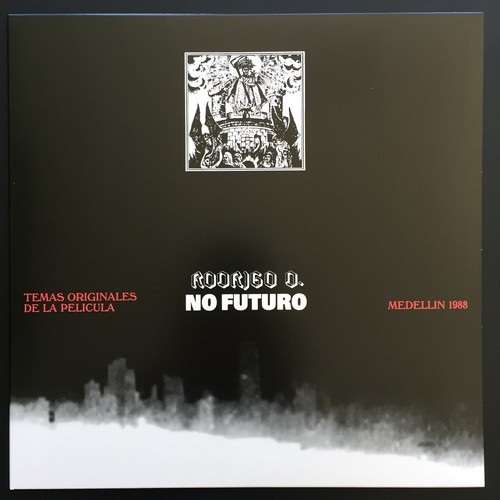 His first two vinyl covers, for Mortician’s “Brutally Mutilated” 7” and Derkéta’s “Premature Burial” 7” (both released on the infamous Seraphic Decay label), solidified Moyen’s artistic presence. Brutal, primitive, and evocative, Moyen’s pen and ink illustrations perfectly reflected the sound of the bands with which he worked – bands that, like him, focused upon striking a balance between abrasive intensity and technical prowess. 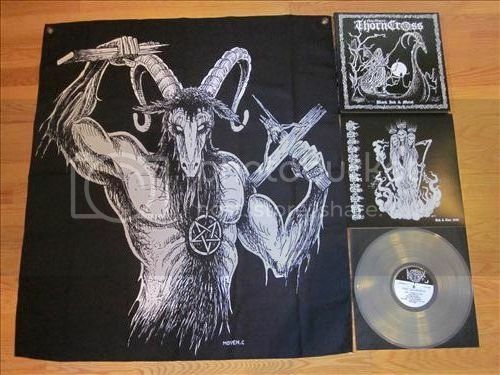 The perverse complexity of his artwork and his attention to detail quickly led to his being commissioned by numerous Black and Death Metal bands such as Incantation, Beherit, Archgoat, Goatlord, Blood, Naked Whipper, Necromantia, etc. 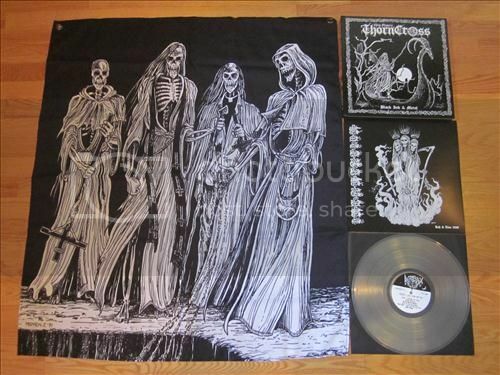 Moyen’s artwork appeared on many of the most significant extreme metal releases of the 1990s. In 1998, Moyen turned his attention away from the Metal scene and disappeared for several years. In 2001, YK Insulter, who was just beginning his NWN! Productions label, acquired a street address for Moyen (although it was uncertain whether or not Moyen still lived at that address) and mailed him a letter. Moyen did reply, however, and he agreed to contribute artwork to the label. 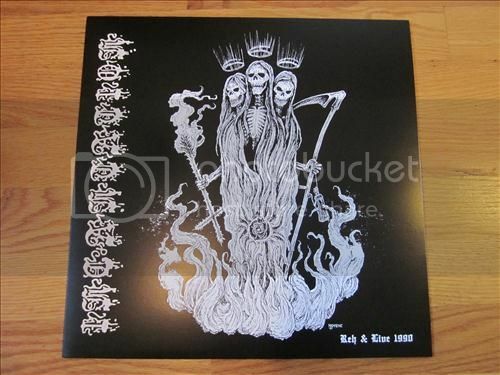 First, Moyen allowed his “Demoniac” piece from about 1990 to be used for the cover of the Blasphemy “Live Ritual” LP and, soon thereafter, he created the original artwork for the Black Witchery “Desecration of the Holy Kingdom” LP. The unassuming correspondence and these isolated collaborations developed into a relationship between NWN! and Moyen that has persisted through the years as both have continued to establish their prominence in the scene. As interest in Black/Death Metal surged in the mid-2000s, Moyen once again became one of the most widely recognized artists in the field. To honor Moyen’s contributions, NWN! 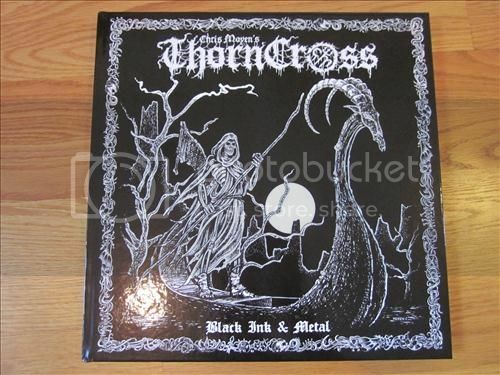 Productions is proud to announce the release of “Chris Moyen’s Thorncross: Black Ink & Metal,” a 208-page book featuring a retrospective of Moyen’s pen and ink (all black and white) artwork. This book, which has been in the planning stages for over five years, is the definitive collection of Moyen’s art and is an essential document of the evolution of the Black/Death underground. 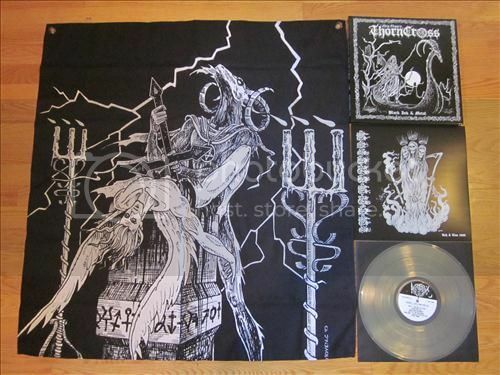 The 12” x 12” hardbound book comes with a bonus LP featuring two of the bands for which Moyen created some of his most highly regarded pieces: Archgoat and Incantation. 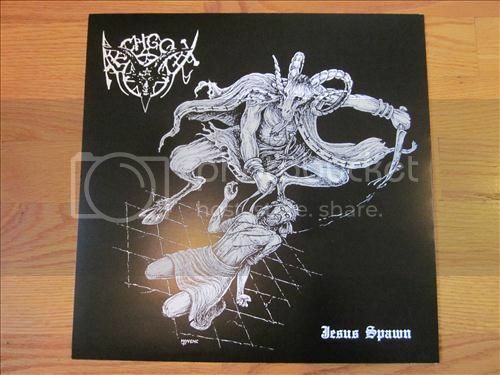 The Archgoat side contains the band’s 1991 demo entitled, “Jesus Spawn.” Incantation’s side of the LP consists of the 1990 rehearsal demo from one of the band’s earliest sessions as well as previously unreleased live recordings from their first gig that same year. Accompanying the Die Hard edition of this release will be one of four different poster flag designs featuring some of Moyen’s most recognizable and important works.